to strengthen and enhance trade linkages between eligible countries and agricultural interests in the United States. 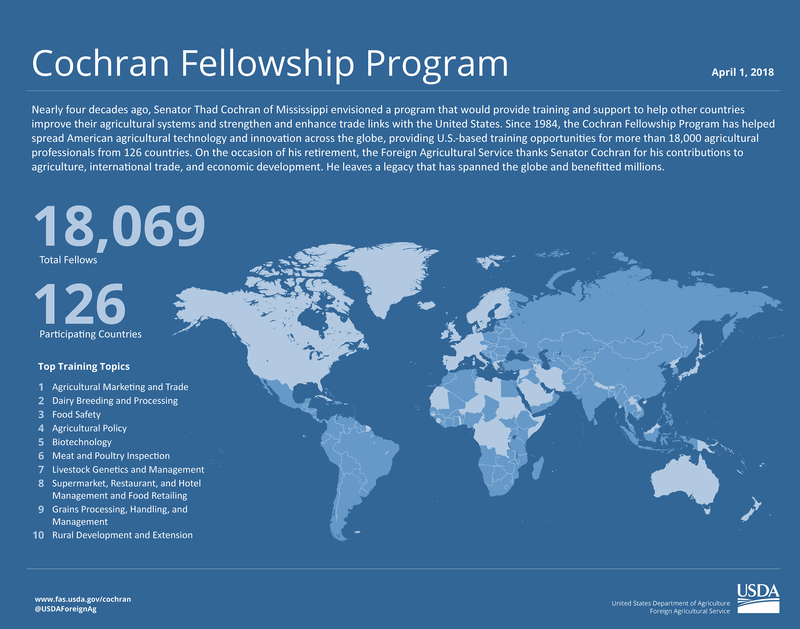 Approximately 600 Cochran fellows come to the United States each year, generally for 2-3 weeks, to work with U.S. universities, government agencies, and private companies. They receive hands-on training to enhance their technical knowledge and skills in areas related to agricultural trade, agribusiness development, management, policy, and marketing. USDA announces eligible countries and topics each year based on current trade issues.